Noble. Enthusiastic. Doting. NED! I am all of those things and much, much more. 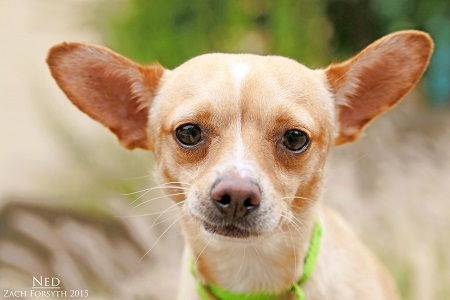 I am an incredibly friendly 3 year old, 8 lb Chihuahua that just keeps getting the short end of the stick! You see, not only did I find myself homeless with no loving family to call my own, but I also have 2 painful back legs that require surgery! I know, that’s a lot to take in, but don’t worry, the folks at Pixie Project will take care of my surgery. However, I need to find a safe and quiet place to recuperate. Whether you are able to foster or give me my forever home, I could really use the help! You will be rewarded richly for your kindness with my wonderful demeanor and endless loyalty and love. I am perfect with all people and other animals. Will you help this brave boy handle life’s obstacles? Contact us at info@pixieproject.org for more information!